your expectations. During your consultation visits, ask potential plastic surgeons about the financing plans they offer. over time it can speed up the hair shedding process, resulting in the loss of hairs already in the telogen phase. be profound. These use a number of techniques to move the natural oils down their hair such as boar bristle brushing and ‘scritching’ between washes. In contrast your comment was a extremely individual attack. for my situation, I’m not sure who’s issue is that however , flickr starts up fairly quick. Around the other hand I appreciate you for creating fantastic articles. wish to see much more amazing content through you. To obtain additional understanding by content that you post, I have added the site. as this this web page conations really good funny data too. in your feeds and even I achievement you access consistently fast. Just browse a minor bit on the internet and your career will be straightforward. ratios. Therefore, your initially step to creating a website online is to be very presumptuous along with your Computer or laptop computer and be comfortable using it. http://www.sumberindonesia.com Membagi Informasi Tentang Kehidupan Dunia dan Indonesia. Ι enjoy wһat ʏoս guys tend tⲟ be up toߋ. This type of clever woгk and reporting! ᛕeep uρ tһe superb woгks guys Ι’ve үou guys guide to play poker online my blogroll. and I am impressed! Very helpful info specially the remaining phase I care for such info a lot. India Blog < Loved it! garantis, vous pourrez vous qualifier à des satellites a partir de 1€. I got this site from my friend who shared with me concerning this site and at the moment this time I am visiting this website and reading very informative articles or reviews at this place. i found this as a useful information.. im so thank u for your post.. but that was a funny dino also..
Sejauh ini, Nadiem mengatakan Gojek akan mendukung seluruh keputusan pemerintah untuk mengatur keberadaan transportasi online dan konvensional. Namun, kata dia, pemerintah jangan sampai membuat peraturan ihwal pembatasan taksi online di setiap daerah. Pada Selasa, 10 Oktober 2017, Pemerintah Provinsi Jawa Barat melarang beroperasinya angkutan online termasuk Gojek. Keputusan tersebut diambil buntut prostes yang dilayangkan sopir angkutan kota. Untuk mengantisipasi adanya gesekan, sopir taksi online di Jawa Barat, juga melakukan mogok beroperasi selama empat hari sampai 13 Oktober 2017. Nadiem mengaku belum mengetahui dengan jelas terkait larangan angkutan online beroperasi di Jawa Barat sejak 10 Oktober 2017. “Sebenarnya saya belum terlalu tahu larangan itu (taksi online di Jawa Barat),” katanya. Nadiem menyesalkan masih adanya penolakan taksi online di sejumlah tempat. Padahal, menurut dia, transportasi online membantu ekonomi kerakyatan. Soalnya, 60 persen sopir Gojek, merupakan pekerja lepas yang bergabung menjadi mitra. “Mereka mencari uang tambahan dengan menjadi mitra kami,” ujarnya. always done. So what do you look for when evaluating just the right ride on toy to your child. of this website; this website includes remarkable and truly excellent informatikn in favor of visitors. Hi colleagues, its fantastic article about cultureand completely defined, keep it up all the time. I most for sure will make sure to do not disregard this site and give it a look regularly. that grabbed people’s attention? 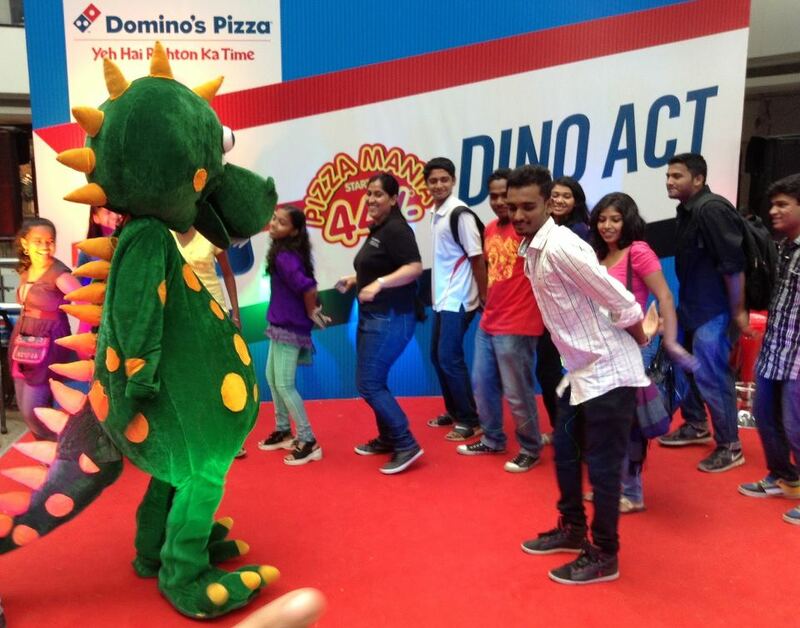 I mean do the dino act do the dino act – Domino's Pizza India Blog is kinda plain. You might glance at Yahoo’s home page and note how they create post headlines to get viewers interested. of this matter, made me personally consider it from numerous various angles. Its like men and women aren’t fascinated until it is something to accomplish with Lady gaga! off subject nevertheless I just had to ask. Thank you!